 Dear brothers and sisters, when troubles of any kind come your way, consider it an opportunity for great joy. For you know that when your faith is tested, your endurance has a chance to grow. So let it grow, for when your endurance is fully developed, you will be perfect and complete, needing nothing. WHEN SOME BASIC NEED IS LACKING—time, energy, money—consider yourself blessed. Your very lack is an opportunity to latch onto Me in unashamed dependence. When you begin a day with inadequate resources, you must concentrate your efforts on the present moment. This is where you are meant to live—in the present. It is the place where I always await you. Awareness of your inadequacy is a rich blessing, training you to rely wholeheartedly on Me. Since God chose you to be the holy people he loves, you must clothe yourselves with tenderhearted mercy, kindness, humility, gentleness, and patience. Make allowance for each other’s faults, and forgive anyone who offends you. Remember, the Lord forgave you, so you must forgive others. 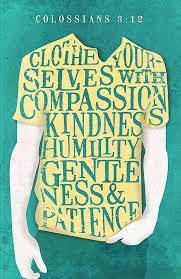 Above all, clothe yourselves with love, which binds us all together in perfect harmony. And let the peace that comes from Christ rule in your hearts. For as members of one body you are called to live in peace. And always be thankful. Is there any encouragement from belonging to Christ? Any comfort from his love? Any fellowship together in the Spirit? Are your hearts tender and compassionate? Then make me truly happy by agreeing wholeheartedly with each other, loving one another, and working together with one mind and purpose. This is what it means to humble oneself. This is what it means to serve one another. This is what it means to hear someone else’s story and honor it, value it, and treasure it. This is what it means to enter into relationship with another person, another group of people. Dear God, Abba Father, Jesus my Lord and Savior. We need to humbly come to the table with open hearts, minds, eyes and ears. Remembering where we would be and end up if not for You Jesus. We must live and share and walk accordingly. Lord, we all have a long way to go before we have the same mindset as Christ, but I want to try. I want to cast off earthly power and position and popularity in favor of serving you and serving others. I don’t really know where to begin with that, but I am willing. Here I am. Amen. Parts of today’s prayer from today’s devotion. 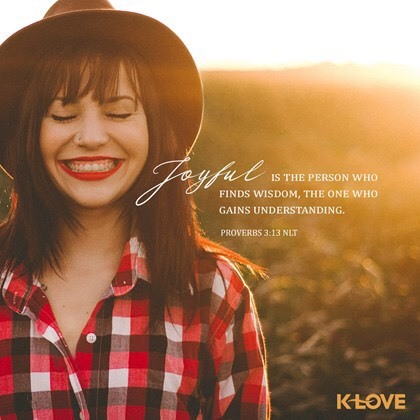 Joyful is the person who finds wisdom, the one who gains understanding. Brave spaces draw a person out and give them the opportunity to be transformed. Alternatively, safe spaces often make it safe for me to stay the way I am. Brave spaces invite vulnerability, while safe spaces often keep me shielded from growth. David’s brothers and the rest of Saul’s army chose safety when facing Goliath. But God calls us out of hiding and into the light, where we are invited to partner with God in miraculous acts that bring a new way of living. We may not slay actual giants, but bravery can certainly transform our perspective and grow our capacity for love. Dear God, Abba Father, Jesus my Lord and Savior. In Your wisdom is the key to understanding that which we don’t understand. So I seek Your will above all. Knowing that it will take me out of my safe space. Lord, I like safety, the peace of feeling connected to You. I like knowing my loved ones are blessed and protected. Help me to know when to choose safety, when to be brave, and when to choose both. Help me to walk by faith. Trusting only in You. Amen. 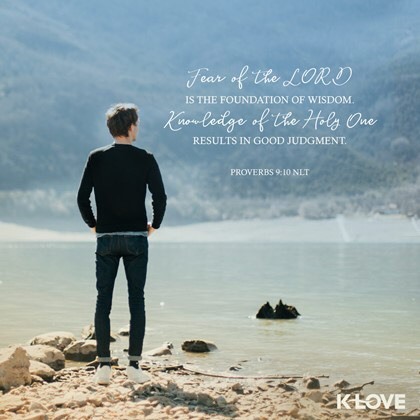 Proverbs 9:10— The “foundation [or beginning] of wisdom” is the “fear of the Lord.” And the beginning of wisdom, according to the apostle Paul, often appears foolish to “those who are headed for destruction.” Why? Because “the message of the cross” seems like a message of weakness, when it is actually “the very power of God”( 1 Corinthians 1:18-20 ). Do you seek great things for yourself? Are you seeking great things for yourself, instead of seeking to be a great person? God wants you to be in a much closer relationship with Himself than simply receiving His gifts— He wants you to get to know Him. Enoch, who lived in the seventh generation after Adam, prophesied about these people. He said, "Listen! The Lord is coming with countless thousands of his holy ones  to execute judgment on the people of the world. He will convict every person of all the ungodly things they have done and for all the insults that ungodly sinners have spoken against him." “Snakes! Sons of vipers! How will you escape the judgment of hell?” Was that someone cursing the guy who stole his 4×4? Or a drunk yelling at the cops who pick him up? No, it’s Jesus talking to the Pharisees—the respectable religious leaders of his day (Matthew 23:33). We’re so used to images of a nice, kind, freshly shampooed Jesus that we forget he showed anger, too. But he did, about similar issues to what Jude writes about in his letter. Instead of showing people the way to God, the Pharisees ended up driving people away, and that made Jesus mad. Everyone is invited to the party in God’s kingdom—not just the good and the nice. Everyone is welcome—the sad, the mad, people like me, and definitely, definitely people like you. 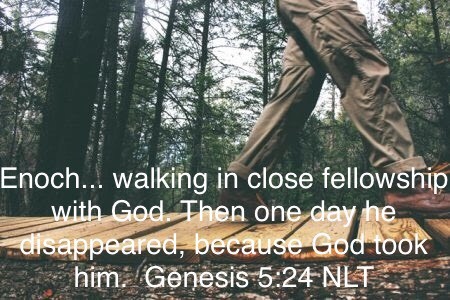 The language of walking as a metaphor for the Christian life comes straight from the New Testament. Later in Ephesians, for example, we’ll examine a verse that could be translated literally, “As a prisoner for the Lord, then, I urge you to walk worthy of the calling with which you were called” (4:1). By using the verb “to walk” (peripateo in Greek), Paul refers to a pattern of life, what we might call a lifestyle. …when we put our faith in Jesus Christ, thus receiving God’s grace through him, not only are we forgiven for our sins, but we are also welcomed into a new way of living. Our salvation is not simply a ticket to heaven in the future. It is also a passport to a new “walk” in this life, a new way of living and being, a new way of relating to God through Jesus Christ. Dear God, Abba Father, Jesus my Lord and Savior, I’m all in. Thank you for delivering us from walking in our transgressions and sins. Thank you for opening up to us a new way of walking. May our walk be genuine and vital. May we keep away from patterns of sin and selfishness. May we walk with you, in your strength, and for your glory, in all that we do. (…OneWalk) Amen. Today’s prayer from today’s devotion. Be on guard. 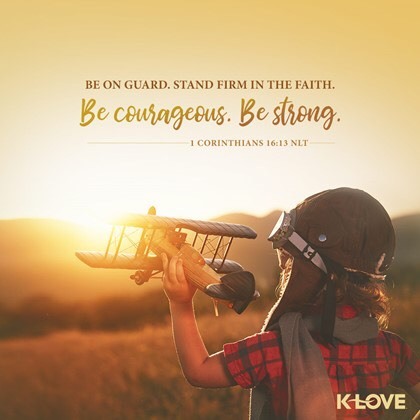 Stand firm in the faith. Be courageous. Be strong. “Then the Kingdom of Heaven will be like ten bridesmaids who took their lamps and went to meet the bridegroom. Five of them were foolish, and five were wise. The five who were foolish didn’t take enough olive oil for their lamps,  but the other five were wise enough to take along extra oil. When the bridegroom was delayed, they all became drowsy and fell asleep. “At midnight they were roused by the shout, ‘Look, the bridegroom is coming! Come out and meet him!’  “All the bridesmaids got up and prepared their lamps. Then the five foolish ones asked the others, ‘Please give us some of your oil because our lamps are going out.’  “But the others replied, ‘We don’t have enough for all of us. Go to a shop and buy some for yourselves.’  “But while they were gone to buy oil, the bridegroom came. Then those who were ready went in with him to the marriage feast, and the door was locked. Later, when the other five bridesmaids returned, they stood outside, calling, ‘Lord! Lord! Open the door for us!’  “But he called back, ‘Believe me, I don’t know you!’  “So you, too, must keep watch! For you do not know the day or hour of my return. The proof that our relationship is right with God is that we do our best whether we feel inspired or not. 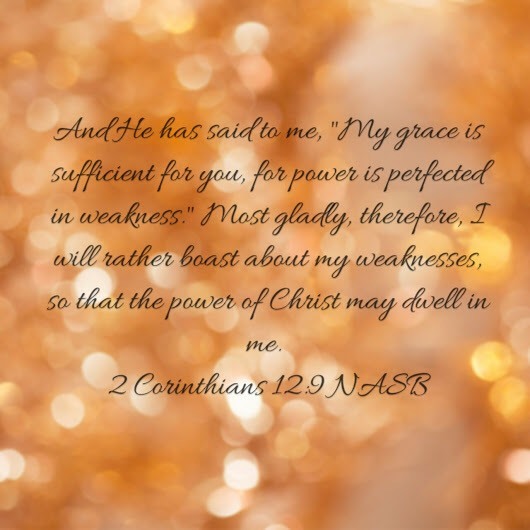 I pray that out of his glorious riches he may strengthen you with power through his Spirit in your inner being, so that Christ may dwell in your hearts through faith. 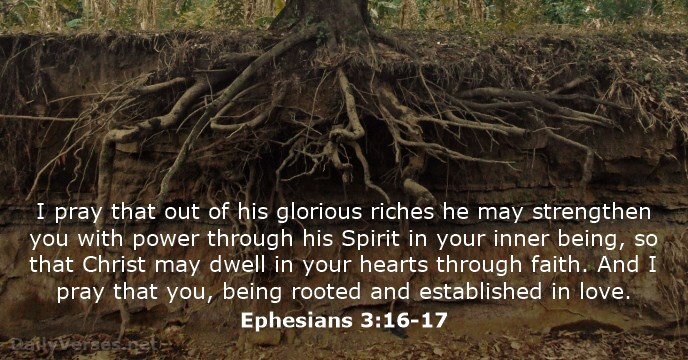 And I pray that you, being rooted and established in love . . .
YOU CANNOT SERVE TWO MASTERS. If I am truly your Master, you will desire to please Me above all others. If pleasing people is your goal, you will be enslaved to them. People can be harsh taskmasters when you give them this power over you. If I am the Master of your life, I will also be your First Love. Your serving Me is rooted and grounded in My vast, unconditional Love for you. The lower you bow down before Me, the higher I lift you up into intimate relationship with Me. The Joy of living in My Presence outshines all other pleasures. I want you to reflect My joyous Light by living in increasing intimacy with Me.